Mahindra's new compact SUV, the TUV300, has been seen for the first time in an production-ready guise. This new SUV will hit Indian showrooms on September 10, 2015 and will be Mahindra's first ground-up attempt at the compact SUV segment. Previously known as the U301 compact SUV, the Mahindra TUV300 was spotted testing a number of times. Moving on to the sides, the TUV300 continues with its angular-look. The window line is big which results in a large glasshouse. The top-spec trim comes with blacked out B-pillar as well. 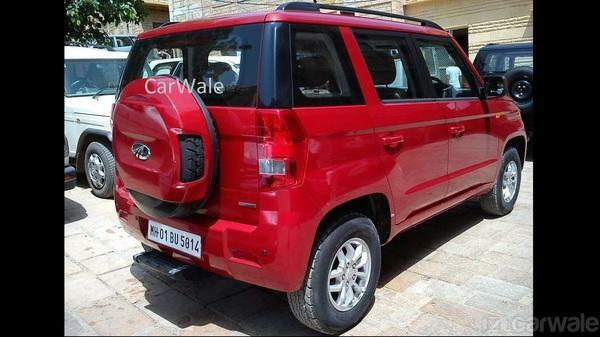 The TUV300s gets a floating D-pillar like other Mahindra offerings and comes with large but simple tail-lamps at the back. The spare wheel is mounted on the rear door which further adds to the butch SUV stance. Interestingly, Italian design house Pininfarina (Mahindra’s bid to take over the firm fell through recently) was also involved in the design and styling process of the Mahindra TUV300. On the inside, the TUV300 will offer dual-tone interiors on some variants, and have a lot of parts seen on the updated Scorpio and the XUV500. It will come with a new mHawk80 engine, which is expected to be an updated version of the Quanto's 1.5-litre three-cylinder diesel motor. This qualifies the TUV300 as a small car, and warrants a lower rate of excise duty. 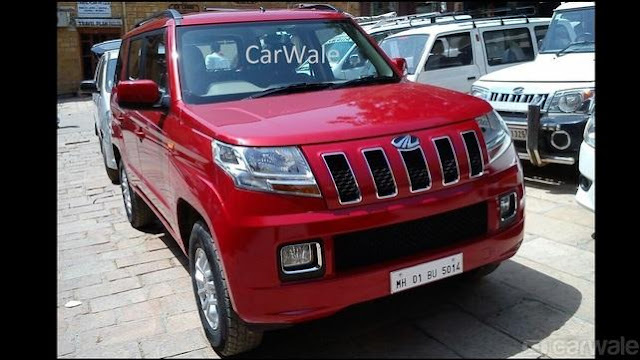 Mahindra will launch the TUV300 in a two-wheel-drive form, but company insiders say that a four-wheel-drive version is theoretically possible on the new platform. 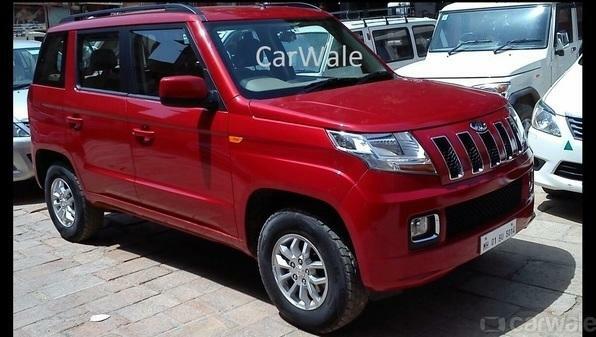 Sources tell us that the TUV300 will also come with an AMT gearbox too.